The ceramic artist and ACC Fellow died at the age of 91. Published on Monday, January 28, 2019. Ceramic artist and ACC Fellow John Mason died January 20. He was 91. 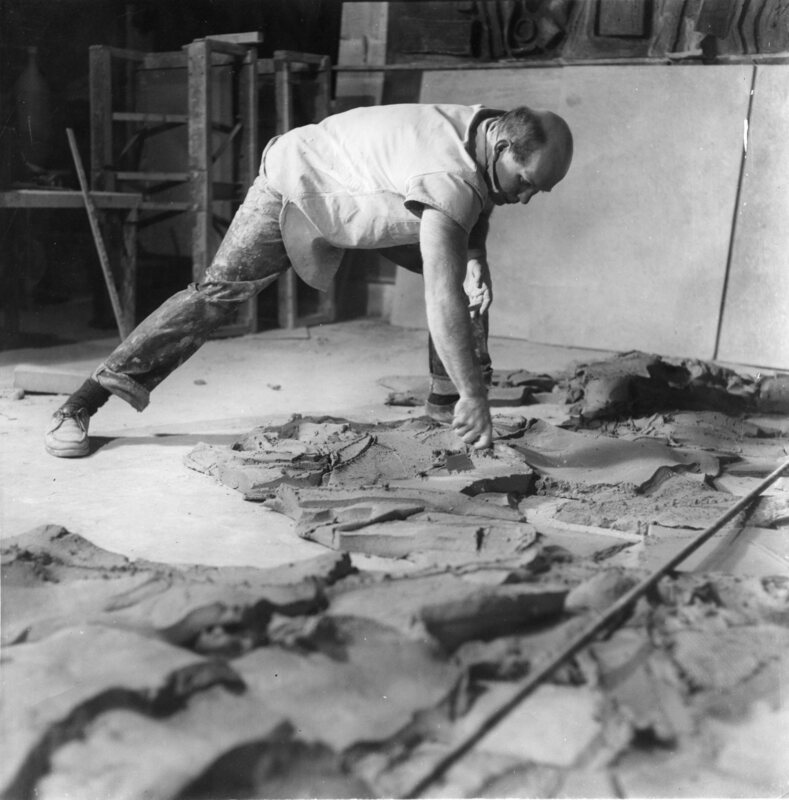 A contemporary of other ground-breaking ceramists such as Peter Voulkos and Ken Price, John Mason was on the leading edge of what Craft Horizons editor Rose Slivka called “The New Ceramic Presence” in her article from 1961. 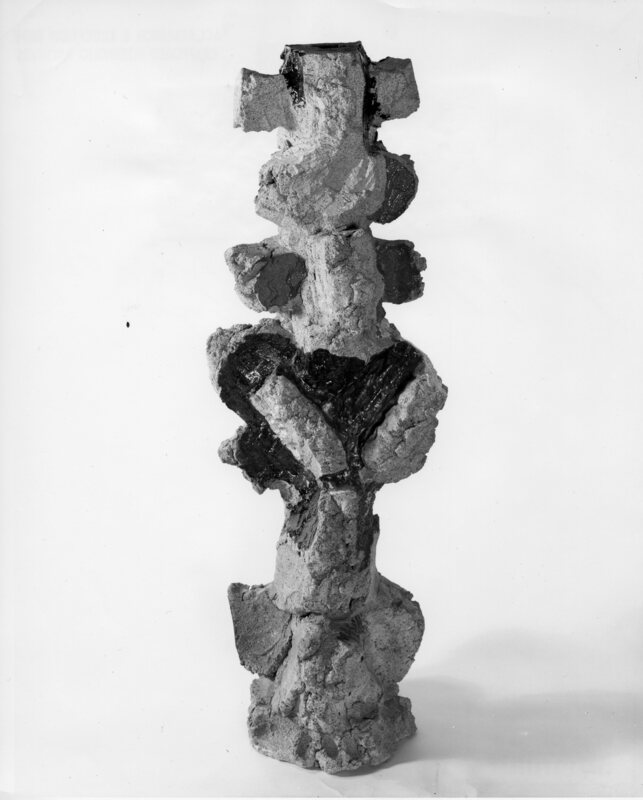 Through the mid-to-late 1950s, Mason and his colleagues at Otis Art Institute (then known as the Los Angeles County Art Institute) forged a new approach to working with clay, shifting from the functional to the sculptural. 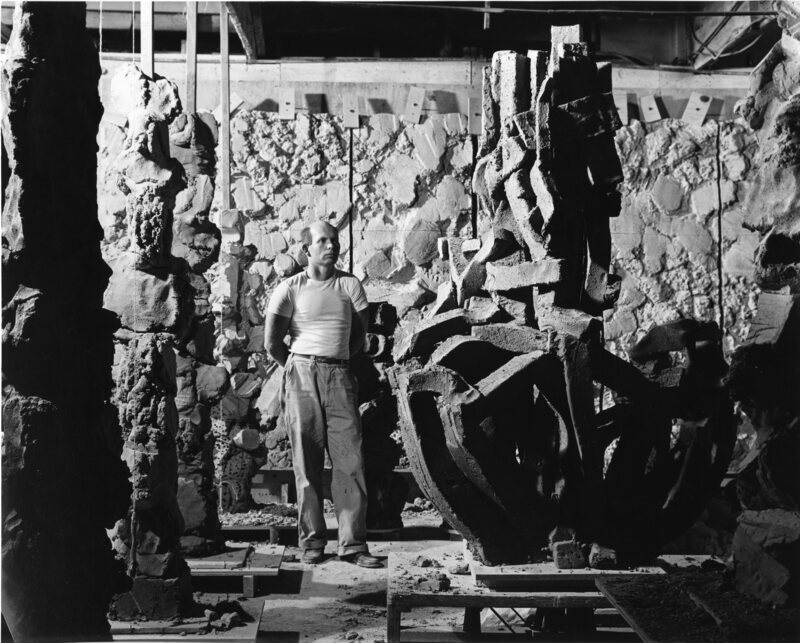 Mason’s pieces were massive, gestural, and often gravity-defying, comprised of heavy, multi-paneled clay walls and larger-than-life vertical forms. Mason was born in Madrid, Nebraska, in 1927. He studied in Los Angeles at the Otis Art Institute and Chouinard Art Institute, and he remained in the city throughout his professional studio career. In 1954, Mason met Peter Voulkos, who had recently been appointed chair of the new ceramics department at Otis. In 1957, Mason and Voulkos shared a studio space in a former woodworking shop, a building that could accommodate an industrial-sized kiln that was necessary to fire the immense pieces each artist produced. By 1959, Mason had his first solo show at the Ferus Gallery, which featured his Blue Wall, which measured 7 by 21 feet and was constructed on the floor. “I used the only big empty space in the studio. Otherwise it would have been bigger,” he said in an interview with Paul J. Smith. John Mason in his studio in 1960. John Mason working on Blue Wall in 1959. Mason was hired to teach at Pomona College in 1960 – in sculpture, not in ceramics – and he remained there until 1967. During this time, Mason was featured in a solo show at LACMA, where his monumental spears, crosses, and X forms filled the outdoor sculpture plaza. After leaving Pomona College, Mason took teaching positions with the University of California at Irvine and at Berkeley, and in 1974 he was invited to join Hunter College in New York City. At this point, he moved away from his studio practice and began working on installation pieces using firebrick; his Hudson River series was exhibited across the country. He returned to clay in the 1980s, creating large, vertical, twisted-slab forms that demonstrated his extraordinary technical skill with the medium. Mason participated in several notable exhibitions at the Museum of Contemporary Crafts, including “Objects USA” and “Craft Today – Poetry of the Physical.” His work is in the San Francisco Museum of Modern Art, the Art Institute of Chicago, and numerous private collections. He was inducted into the ACC College of Fellows in 1985.